Lovely one owner,bed and breakfast, located 1 mile from Highway 84 in Homerville and just minutes from the Fargo entrance to the Okefenokee Swamp. This Home-Stay, bed and breakfast has hosted numerous guests over the past 27 plus years. This is the perfect place for a bed & breakfast! Located just steps away from downtown Henderson, this location is amazing. A Victorian dream come true! This stunning 1886 home has been restored to all of its glory featuring 12 foot ceilings, rich original pine floors, and a wrap-around porch. This 5bd/6ba log charmer isn't just a home, it's a destination. Built with 100+ year old hand-hewn timbers and situated on 14.5 mostly wooded acres, this remarkable property is the perfect escape for a large family, nature lovers, and those that just want to get away. Restored 1880 house on almost 6 acres in town. The Reagan's Queen Anne B&B established in 1999 and located at 313 North 5th was built (1889) in the Queen Anne style. This is an EXCEPTIONAL property in OUTSTANDING condition. Commercial property with residence. COMMERCIAL KITCHEN, wheelchair accessible with guest elevator, includes one of the finest residences in Tuscola METICULOUSLY MAINTAINED with exquisite woodwork by Amish craftsmen. Built in 1919, originally 4 bedrooms but currently 3 with 1.5 baths. 8 rooms total. 50 yr shingle roof, gas heat, town water/sewer, walkable town center location, walk out basement. 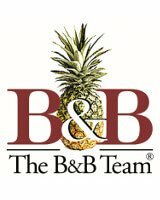 Small B&B/Inn potential - currently none in town. Plenty of parking. Turn-key business with established clientele and great growth potential. Meticulously maintained with many newish mechanicals. Walk to Lake Memphremagog,shopping and dining. Close to Jay Peak, bike path to Canada and myriad hiking trails. 3 Bedroom Main House and 1 Bedroom Guest House for SALE. Licensed Bed & Breakfast. Historic Bed & Breakfast located in the heart of Ludington. It is rare to find an Inn that has been to the highest peaks of notoriety with great occupancy and a large food and beverage business and then quietly fall back to a hidden retreat for Innkeepers who prefer to keep a lower profile of a hostel with a great bar. Come today to own a local piece of History. Located right on the town square and being used as a local Bed & Breakfast now. Come schedule a viewing today. If you have been looking for a spectacular property with endless possibilities, you can stop. You found it! Complete Turn Key Sale. Large wrap around porch, full commercial kitchen, dining & banquet facilities, meeting & entertainment rooms, potential of 5 guest rooms each with private baths. Ready to move in! Totally New Complex. Location on major US Hwy. Location near Rush Creek 600 MW Wind farm. Location on the Niobrara Oil formation /3.8 billion barrels of oil. Nice exceptional Clean Property. Apartments and Lodging. 23 yr old 6 bed 6 bath 3500 sq ft, in historic Jefferson, TX on 1/4acre. 3200 sq ft 5 Bedrooms, 5 baths. Located in Missouri Wine Country near Katy Trail and Wineries. This property is the setting of a lovingly restored 5400 SF Victorian home situated on a corner lot of just over a half-acre in size. It is evident the moment you step in the front door that the owners have taken such care and pride in maintaining this beautiful and understatedly elegant home. REMODELED Beautiful Private Gated Estate Country Club Lake Water View(Across the street from the Lake which is worth more than .5+ block away from the Lake) 4 BR 2 BA.